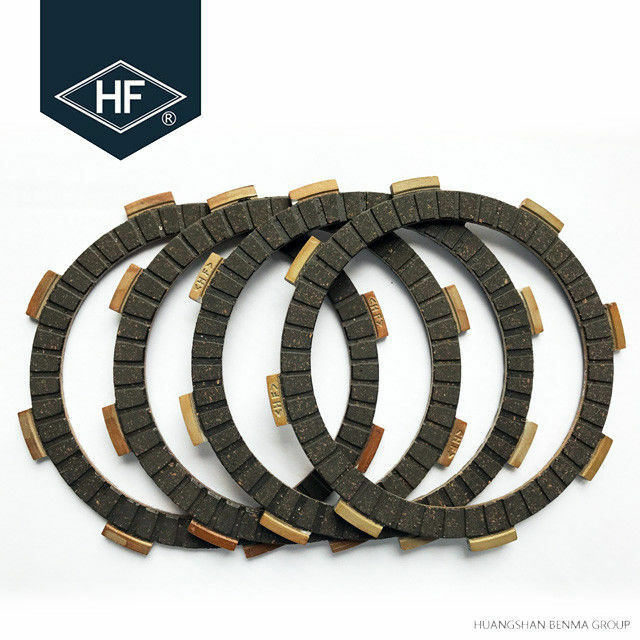 <HF>--THe first brand of china motorcycle clutch plate, Focus on quality more than 25 years we have our ownself paper raw material production line , Full automatic test machine to make sure the quality are first class inthe world. 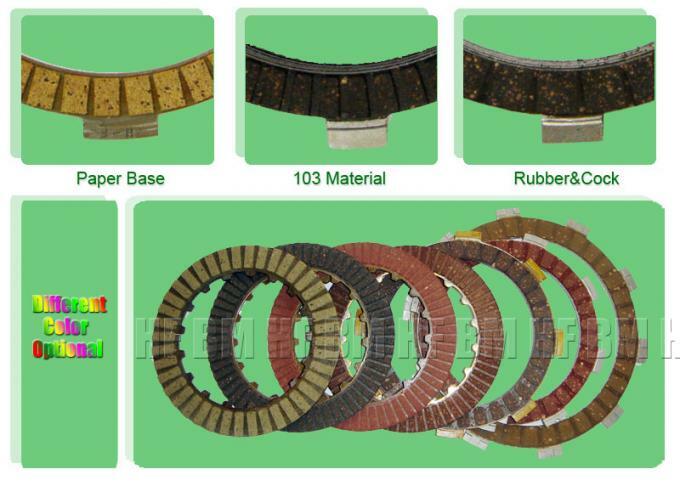 The Rubber clutch plate from BENMA are widely used in many OEM factory in china.with more than 20 years mature technology. With the max torque and min harm to the clutch hub. 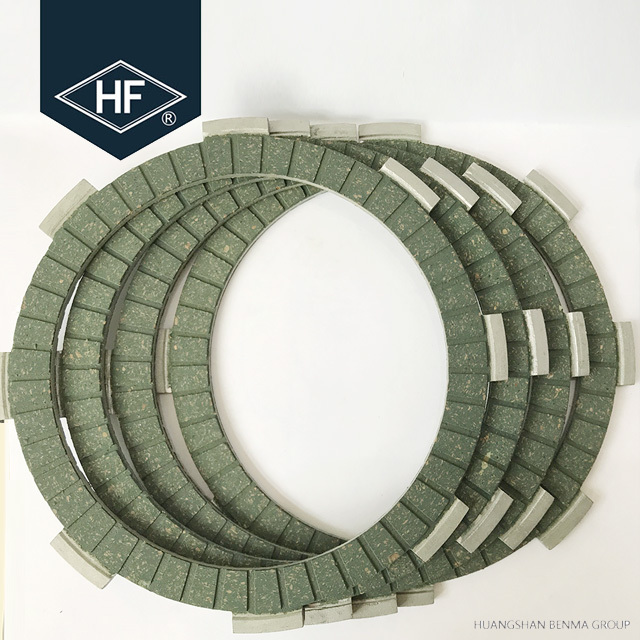 <HF> become the national famous brand already. 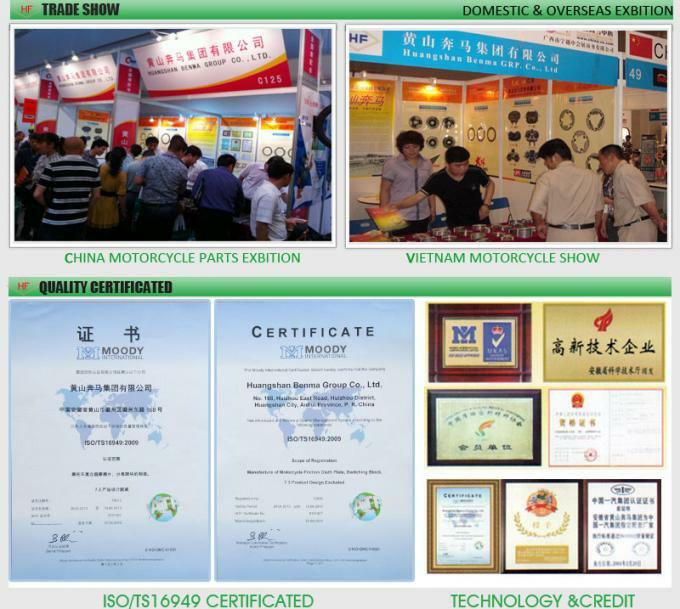 1. professional motorcycle spare parts supplier since 1986 . 2. All kinds of motorcycle parts we can supply . 3. complete quality control system . 4. small order acceptable . 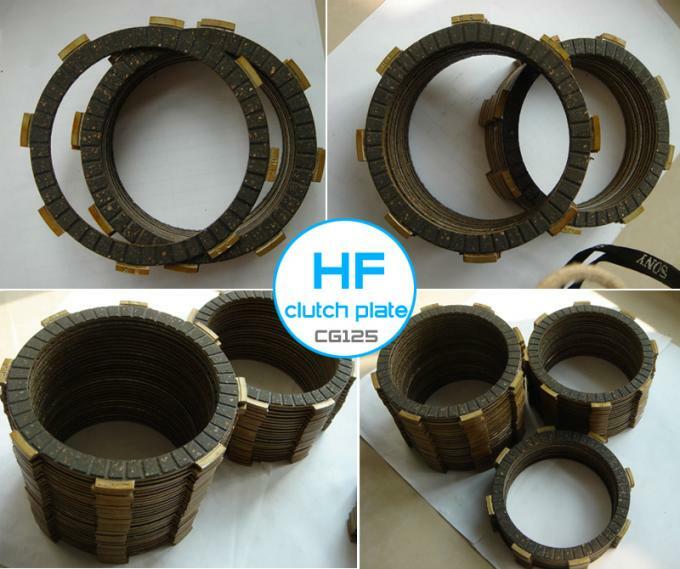 We only supply the best quality clutch plate which stable performance. 1. Our patented material "PAPER" with excellent performance. 2. Extremely precise Technology and strictly test before shipment ensure you 100% safety. 3. ODM or OEM order is acceptable. 4. Factory direct selling Prices slash your cost sharply. 5. Full Spare parts supply to slove all your afterservice worries. 1. 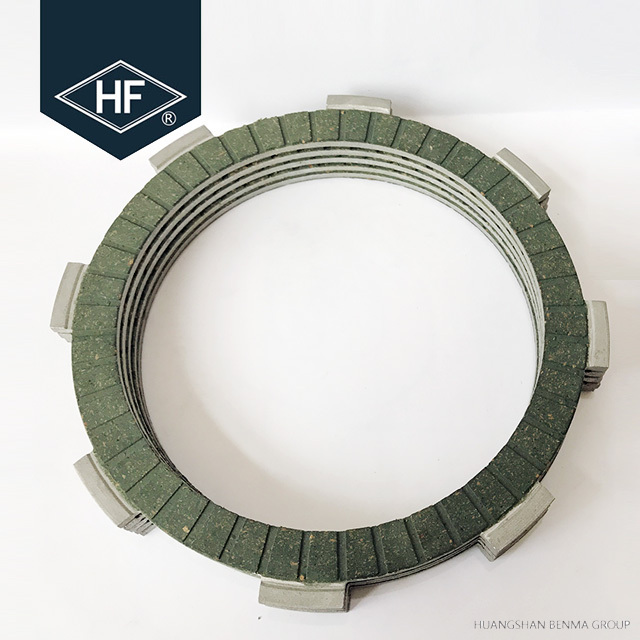 Origional Manufacturer,Factory located in HuangShan.AnHui,China. 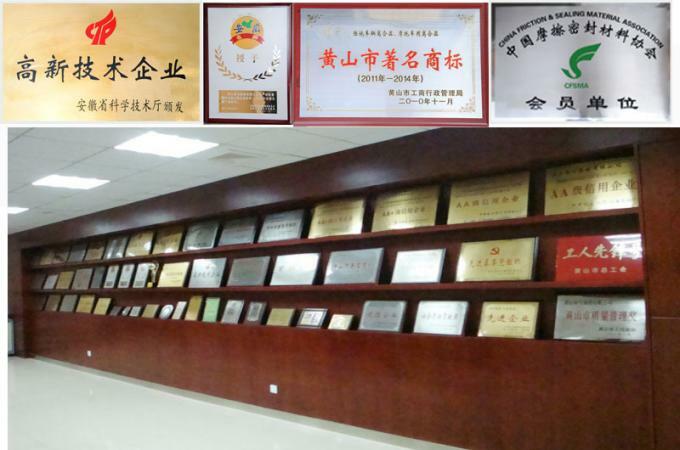 2.15 years experiences in Motorcycle parts manufacturer. 3. Donimated 2/3 market share in china. 3. Long service life more than 10000 KM. 1. Since 1986 ,Leading company in Friction material research,Obtained many patent in friction fields. 2. 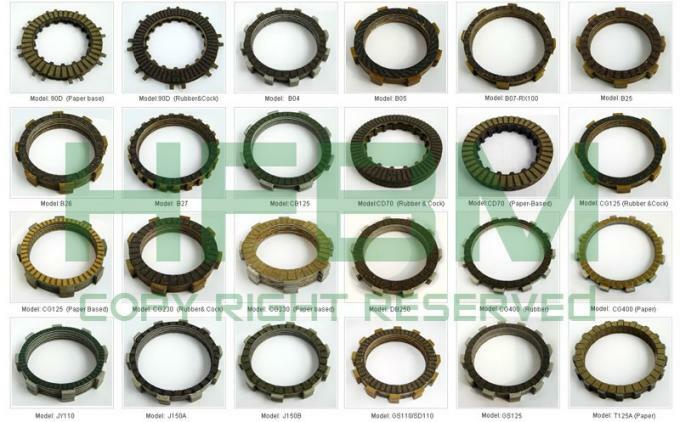 "HF-BM" clutch plate,Dominated 2/3 china market shares.80% supply to genuine motorcycle mnufactuers. 2. More than 500 stuffs and 2 factory located in Huangshan,Anhui and ChongQing. 3. 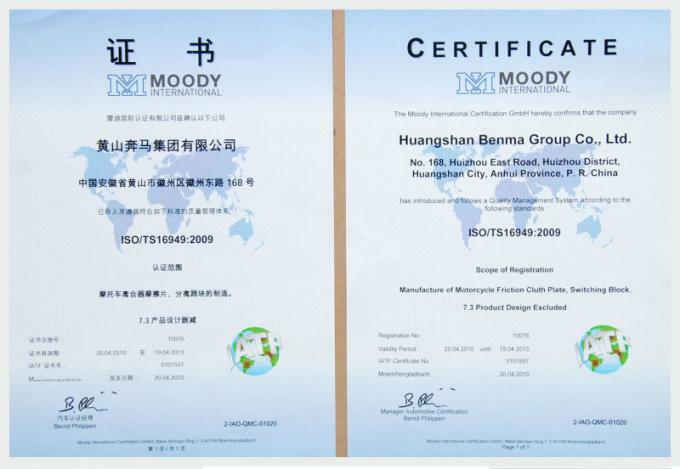 ISO/TS16949 and GB14622:2007 quality guarantee.